In order to promote Franciscan Charism and to provide integral formation for our young sisters, Franciscan Clarist Congregation started One Year programme of Theological Studies in 1973. Since its inception till now, 4050 sisters have been able to benefit out of this institution. At present on an average of 60 sisters get trained here every year. It is affiliated to St. Joseph Pontifical Institute of Theology, Aluva. This programme lasts for ten months from June to March. Major parts of the Course are the study of Sacred Scripture, Theology and Spirituality especially Franciscan Spirituality. A few other relevant topics are also included so that the participants can grow in Holiness with Wholeness, and participate effectively in the ministries of the Kingdom of God. This common Juniorate is found to be very helpful and effective since the young sisters, coming from different background and cultures, get a chance to live together and imbibe the spirit and Charism of our Congregation. During this common Juniorate they are under the guidance of the appointed Mistresses and spiritual fathers. Liturgical formation is given here according to the norms and regulations of the Church. Retreats are conducted for the sisters twice during the year. Monthly recollections, prayer meetings daily holy hour are also conducted. At the Generalate, there is a Prayer House where 30 sisters can stay for two months at a stretch in deep solitude and prayer. 2000sisters have completed two months prayer in 205batches. Spiritual guidance and Counselling, fasting and prayer, whole night and day Adoration of the Blessed Sacrament and occasional classes on prayer and Spirituality etc. are conducted here and they are well appreciated by the members. This is a place where sisters find peace of mind and Franciscan Joy and great relief from cares and worries and they go back rejuvenated and revitalized. First of all, then, I urge that supplications, prayers, intercessions and thanksgiving be made for everyone, for kings and all who are in high positions, so that we may lead a quiet and peacable life in all godliness and dignity (1Tim:2:1-2). Accepting the call of the Lord to be with Him, to praise Him and to intercede for the whole world especially the FCC and the General Team, Provincial and Regional Teams, sisters from different Provinces stay at Portiuncula for one year and raise their hearts and minds towards the God Almighty unceasingly. Every year 12 to 15 sisters from various Provinces participate in this prayer compaign. God in His mercy has gifted FCC a beautiful Saint St. Alphonsa . All the sisters are very happy and interested to imbibe her Spirituality of simplicity, self- renunciation, poverty, charity, obedience and a childlike - spouse like dependency on Jesus. Classes, seminars, Retreats, symposiums, Quiz Programmes etc. are conducted for the sisters, children and youth and other faithful on spirituality of St. Alphonsa. Various books and picture stories were written and made available for everyone to study and deepen themselves in the spirituality of St. Alphonsa. A quarterly magazine Gothampumony (grain of wheat) based on the spirituality of St. Alphonsa is being published by Alphonsa Spirituality Centre. Alphonsa garden is an organization for children. It is a meeting place where the young generation especially the school children are helped to grow in practicing the virtues and there by lead a virtuous life. It is a garden where the seeds of virtues are sowed after the model of St. Alphonsa and the children are helped to grow in the life of holiness by doing many good works with much love for the glory of God. It is spread all over the world through schools and parishes with the help of FCC sisters. Bishop Charles Lavigne Memorial Nursery School was established in the year 1972 in memory of Bishop Charles Lavigne SJ who founded the FCC. 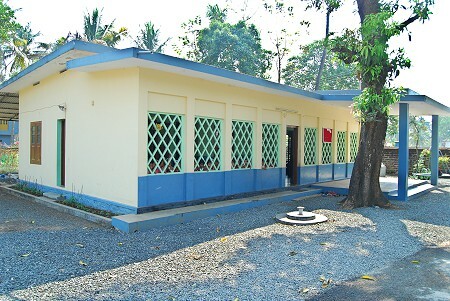 It is mainly intended for the poor children around and so far more than 2000 young buds have stepped out of this institution. 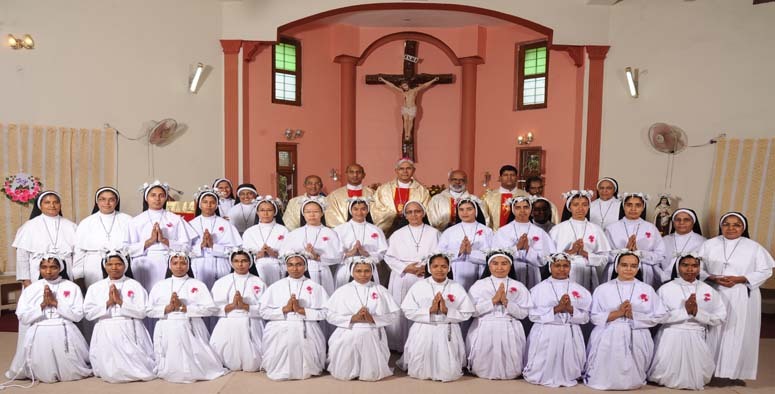 The Franciscan Clarist Congregation (FCC) initiated one year study programme called SAKALYA in 1992 in connection with the celebration of the Eighth Birth Centenary of St. Clare. This has been envisaged as an ongoing formation programme to promote Franciscan charism among the Franciscans. St. Francis of Assisi, being a man of the Gospel, a major part of the concern is the study of Franciscan and Biblical themes. The spirituality of St. Francis of Assisi is a beautiful blend of the southern and western trends of spirituality. Hence topics of Indian spirituality and Ashram experience are also included to enable the participants to cherish and live Franciscan spirituality in the Indian context more meaningfully. The study programme includes a few other relevant topics too in order to attain Wholeness and Holiness through this course. The vision of SAKALYA is life of Wholeness and Holiness. To promote Franciscan charism through Gospel living. To live a life of integrity. To promote harmony with God, fellow beings, nature and with creation. To bring to the consciousness the rich heritage of Indian spirituality. To train the participants for Franciscan animation. SAKALYA is a nine months course. The academic year begins in June and ends in February. Admission is opened to women Franciscans and those who need Franciscan values. 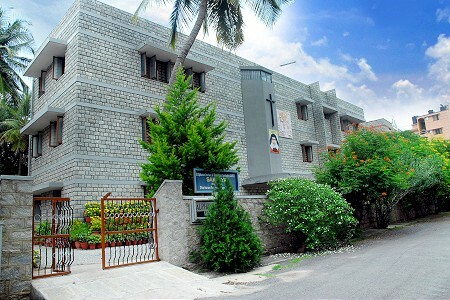 Diploma is issued by the faculty of Theology, DharmaramVidyaKshetram, Bangalore. Till now around 600 sisters completed this course and taken the Diploma. Among them many are serving as formators and animators of the Congregation. This nine month course definitely changes the thinking pattern and attitude of the participants. Let this institution flourish in such a way to give a Franciscan spiritual touch to all the women religious. 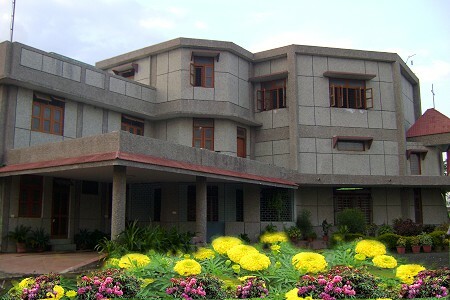 SanthiDham FCC Study House was established in Madhya Pradesh, Indore for the training of the Missionary Sisters in 1997. 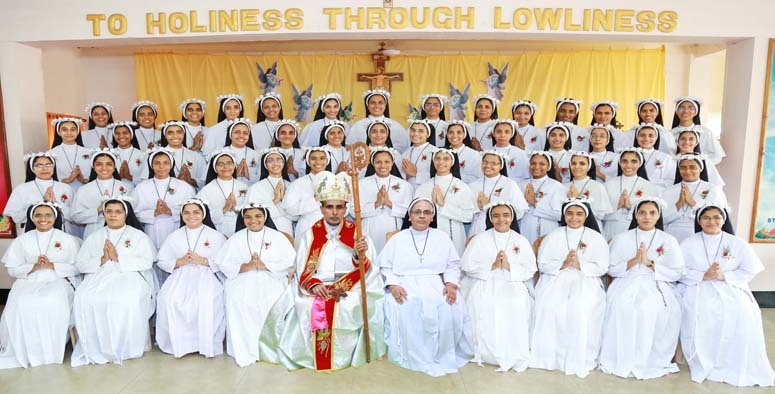 It provides ten months theological studies and training to the junior sisters of FCC before their Final Profession. Classes on Systematic Theology, Sacred Scripture, pastoral theology, Franciscan Spirituality, Psychology etc. are given and at the end of the course a Diploma is awarded to the participants. In every year 40 to 50 junior sisters are attending this juniorate course, and since four years MJ and FSLG congregations are joining for this course. Today this common juniorate house which is known as Shantidham is a place for the Northern provinces to have the local superiors conference, secretariat meeting, animators get together and for the common meetings. The office of the Grain of Wheat an yearly FCC publication based on the spirituality of St. Alphonsa is published from here. With necessary articles and books a good and attractive library is available here. The goal of this Institute is to enable the sisters to grow in Holiness and Wholeness by assimilating various dimensions of consecrated life in FCC and to commit themselves to God and His people. How lovely is your dwelling place O Lord of hosts! (Ps:84/1). Arpookkara, a small hamlet of Kudamaloor, in the district of Kottayam had a beautiful house, rested among the palm groves and girdled by the shadows of the drooping palm leaves. A branch of river Meenachil flows by the side of that house. St.Alphonsa, the first feminine flower of sanctity of India was born in that house on 19th August 1910. Mary and Joseph Muttathupadathu were her parents. 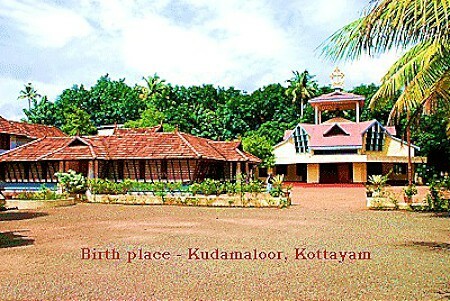 Her birthplace is only 15 kms from Kumarakom, the famous tourist centre, 200 kms from Munnar and 114 kms from Thekkady. 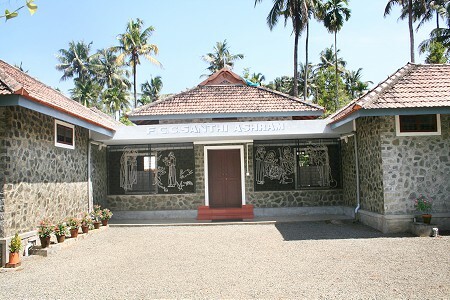 Mannanam where the mortal remains of Bl.Kuriakose Elias Chavara rest is only 5kms from this place. In1971 Deva Matha Province of Changanassery bought this house from Mrs. Theramma, St. Alphonsas niece and in 1973 sisters began to stay there. 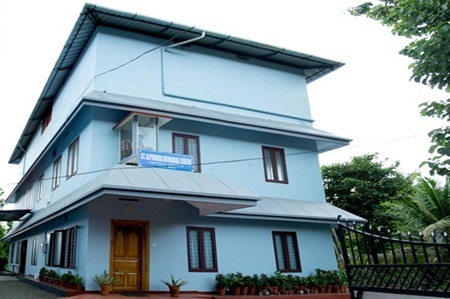 A new house was constructed in 1975 and it was inaugurated and blessed by His Beatitude Late Antony Cardinal Padiyara and named AlphonsaBhavan keeping the Janmagraham as such without making any change. Now it is under the patronage of FCC Superior General. The sisters who stay here look after the day today affairs of the Birth place. They render great services like attending to the pilgrims, giving counseling to those needed and teaching the school children. They spend long hours before the Blessed Sacrament in prayer and adoration. Pilgrims throng to her from every nook and corner of India and the world belonging to diverse faiths and spend their time in prayer in the room where St. Alphonsa was born. Many receive her favours and as thanks giving visit this place now and again. 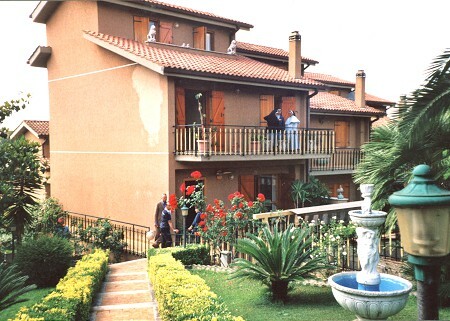 Villa Santa Chiara in Rome was erected in the year 1996.It is being looked after by a Co-ordinator who co-ordinates all the FCC sisters working as well as who are engaged in studies in different places in Italy.The prime objective of this Regional House is the Spiritual Animation and welfare of the sisters. From time to time many retreats and renewal programmes are being conducted here in order to enable the members to remain rooted in FCC Charism while living in a foreign land. 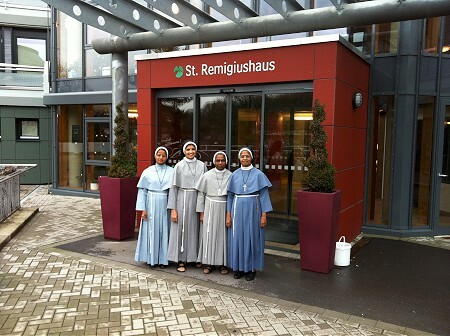 For the fruitful ministry and for the spiritual and material well being of the FCC sisters serving and studying in Germany a Regional House was established in Germany on 4th October 2008 with its head quarters at Surth, in the Archdiocese of Kolon. 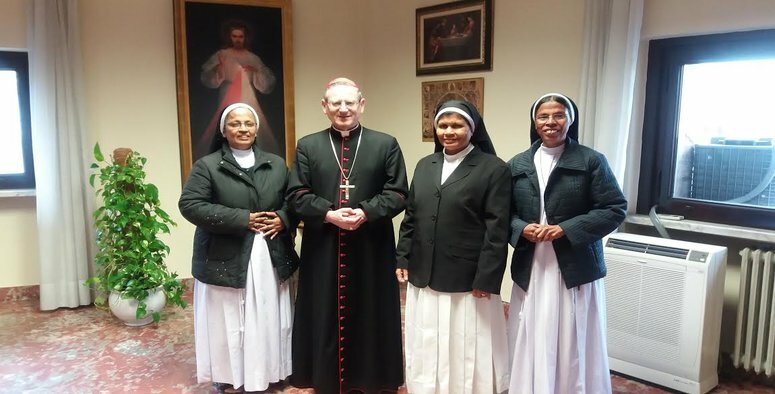 The Region has got a Regional Superior and three councillors and is functioning well, taking care of the spiritual, psychological, social and physical needs of the sisters in Germany. This Region constitutes sisters from various provinces of Franciscan Clarist Congregation residing in Germany. For convenience sake the office of the Regional House was shifted from Surth to Wupertal on 28th Dec. 2011 named as St. Remigious Regional House. Retreats, Animation Programmes, Monthly Recollections, FCC Fraternal Gathering and Franciscan celebrations are being regularly conducted here.